People who are in the field of Biochemistry are often referred to as Biochemists. It is their job to study the structures and functions of enzymes, proteins, carbohydrates, fats, the process of metabolism and the molecular basis of the action of genes also form a part of biochemistry. Today the field is gaining momentum and importance because of its ability to make significant contributions towards illumination and grasping of the DNA Structure. Mostly biochemists are involved in research related works. 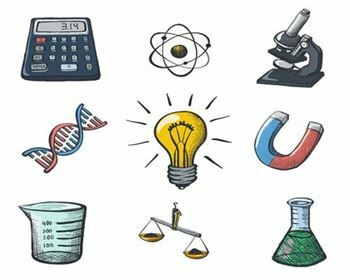 Biochemists can choose from a variety of specializations and almost all the specializations require good research techniques and the ability to combine and analyze information. In order to pursue a Bachelor’s degree in Biochemistry, student must have passed higher secondary education or 10+2 with biology and math as subjects with a minimum of 50 per cent marks. The duration of bachelors is mostly three years. For admission to a Master’s degree in Biochemistry, the student must have a bachelor’s from the relevant field from a recognized university/college. The duration of the masters is mostly two years. With the world evolving day in and day out, there is an intense need to understand the organisms evolving with it and also the role these organisms have on the environment. A biochemist can think of working with fields in medical, agriculture, public health care, forensic environment etc. Because of the nature of work there is a tremendous scope of research. One can think of working with both public and private sectors. Bsc biochemistry can secure you a basic job nowadays, though you need a MSc for most jobs and a PhD for some. There is a lot of competition in the market nowadays. Companies like Medical Instrument companies, Biotechnology, Food and Drink industries, Research Companies and Laboratories, Sales and Marketing Firms, Chemical manufacturing companies, Health and Beauty Care, etc. are always in constant need of people to come work with them. Also some companies in the public sector are good employers or biochemists; Drug Manufacturing Companies, Public Health Entities, Blood Service, Industrial Laboratories, Cancer research institutes, Research Departments, Educational Institutes, Environmental Pollution Control, Agriculture and fisheries, Forensic Science, Hospitals, Public Health Laboratories, Cosmetic Industries, etc. There is also another field where there is always need for experts in the field of Biochemistry which is the quality control and safety section. Almost all companies in the field of food, pharmaceuticals, health and beauty care, etc required safety checks, regulations and quality control. Biochemistry jobs in India are lucrative and easy to come by. Biochemistry job salaries are good. Initially expect somewhere around Rs 20,000 to 25,000. With more practice and knowledge will come more productive pay packages. Those who are not willing to opt for research can think of a career in the teaching field after having a degree in Ph.D in biochemistry.